BRUSSELS (Armenian News Network)–The Belgian Senate–on Thursday–passed a resolution calling on the Turkish government to "recognize the reality of the Genocide perpetrated in 1915 by the last government of the Ottoman Empire." 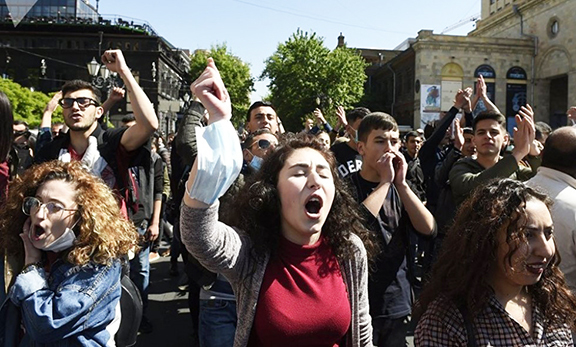 The appeal also calls for reconciliation between the Armenian and Turkish peoples. Apart from Greece–the Belgian Senate thus became the first parliamentary body of a country allied to Turkey through NATO to have recognized the 1915 Armenian Genocide. Thusfar–all efforts aimed at recognition were thwarted through the efforts of Turkish diplomacy. The decision was welcomed by the Committee of Armenia’s in Belgium as expressed in a statement that read: "Belgium has become a pioneer in the matter of human and national rights. The recognition of the genocide by Belgium will be received with much joy by Armenian communities around the world. It marks a significant step toward a Turkish-Armenian dialogue and reconciliation–to which the resolution also appeals." The resolution was co-sponsored by ten senators–including several Belgian political heavyweights. Be it further resolved that the Senates asks the government of Belgium to transmit this resolution to the prime minister of the Turkish government–to the chairman of the European parliament–to the chairman of the European Commission–to the chairmen of the parliamen’s of the member states of the European Union–as well as to the chairman of the parliament of the Republic of Armenia.